Directions: There are 30 incomplete sentences. You are required to complete each one by deciding on the most appropriate word or words from the 4 choices marked A, B, C and D, then write the corresponding letter on the Answer Sheet. 1. We were tired and nervous _____ the constant tension. 4. I hope the stove will _____ enough heat to warm the room. 5. Wait a moment, please. Richard will be back _____. 6._____ I accept that the plan is not perfect, I do actually like it. 7. There were dirty marks on her trousers _____ she had wiped her hands. 8. History is a record of mankind; different historians, _____, interpret it differently. 9. Mr. Smith _____here for three weeks. 10.Billy has difficulty _____the rest of the class. 11. It won&rsquo;t make much _____whether you leave today or tomorrow. 12. Let us hope we can settle the matter without _____more trouble. 13. _____the temperature, _____water turns into steam. 14. We _____for her because she never came. 15. I insist that a doctor _____immediately. 16. He was disappointed to find his suggestions _____. 17. I don&rsquo;t regret _____even if it might have upset her. 18. The rice _____if you had been more careful. 19. Upon graduation he asked to be sent to _____. 20. The roof fell _____he had time to dash into the room to save his baby. 21. _____got into the room_____the telephone rang. 22. When Mary paid the bill she was given a _____ for her money. 23. Medical care reform has become this country&rsquo;s most important public health_____. 24. How can you avoid mistakes when you&rsquo;re in such a _____ ? 25. There is no _____ in insisting on the impossible. 26. As a doctor, I&rsquo;m very interested in medical _____. 27. Their profits have grown rapidly in recent years, and this upward _____ is expected to continue. 28. The doctor told Penny that too much _____ to the sun is bad for the skin. 29. The regular teacher is ill, so a (an) _____is teaching us today. 30. The Great Wall is a great tourist _____ drawing millions of visitors every year. Directions: There are 15 blanks in the following passage. For each blank there are 4 choices marked A, B, C and D. You should choose the ONE that best fits into the passage and write the corresponding letter on the Answer Sheet. What do we mean by a perfect English pronunciation? In one (31) there are as many different kinds of English as there are speakers of it. (32 ) two speakers speak in exactly the same (33) . We can always hear differences between them, and the pronunciation of English (34) a great deal in different geographical (35) . How do we decide what sort of English to use as a ( 36) . This is not a question that can be answered in the same way for all foreign learners of English. (37) you live in a part of the world (38) India or West Africa, where there is a long (39) of speaking English for general communication purpose, you should select to acquire a good variety of the pronunciation of this area. It would be (40 ) in these circumstances to use as a model BBC English or (41 ) of the sort. On the other hand, if you live in a country ( 42 ) there is no traditional use of English, you must take as your model some forms of ( 43 ) English pronunciation. It does not ( 44 ) very much which form you choose. The most ( 45) way is to take as your model the sort of English you can hear most often. Directions: There are 4 tasks for you to fulfill. You should read the passages below carefully and do the tasks as you are instructed. Directions: After reading the following passage, you will find 5 questions or unfinished statements (No.46 to No.50). For each question or statement there are 4 choices marked A, B, C and D. You should make the correct choice and write the corresponding letter on the Answer Sheet. A scientist who does research in economic psychology and who wants to predict way in which consumers will spend their money must study consumer behaviors. He must obtain data both on the resources of consumers and on the motives that tend to encourage or discourage money spending. Traditional assumptions should be investigated carefully, and factors of time and place should be considered. The investigations mentioned above were carried out in America. Investigations conducted at the same time in Great Britain, however, yielded results that were more in agreement with traditional assumptions about saying and spending patterns. The condition most conductive to spending appears to be price stability. If prices here have been stable and people have become accustomed, to consider them &ldquo;right&rdquo; and expect them to remain stable, they are likely to buy. Thus, it appears that the common business policy of maintaining stable prices with occasional sales or discounts is based on a correct understanding of consumer psychology. 46. The example of the mechanic&rsquo;s wife is intend to show that in times of rising prices, _____. 47. Finding in investigations in Britain indicate _____. 48. According to the passage people tend to buy more when _____. 49. The best title of the passage is _____. 50. According to the passage, what does the author think of the traditional assumptions about consumer behavior? A. The assumptions are not always true. B. They are in reliable. C. They are in consistent with the findings in investigation. D. The assumptions are not at all wrong. Directions: After reading the following passage, you will find 5 questions or unfinished statements (No.51 to No.55). For each question or statement there are 4 choices marked A, B, C and D. You should make the correct choice and write the corresponding letter on the Answer Sheet. There is evidence that the usual variety of high blood pressure is, in part, a family disease. Since families have similar genes as well as similar environment, family diseases could be due to shared genetic influences, to shared environmental factors, or to both. For some years, the role of one&rsquo;s environmental factor commonly shared by families, namely, dietary salt, has been studied at Brookhaven National Laboratory. These studies suggest that chronic excess salt ingestion can lead to high blood pressure in man and animals. Some individuals, however, and some rats consume large amounts of salt without developing high blood pressure. No matter how strictly all environmental factors were controlled in these experiments, some salt��fed animals never develop hypertension where&mdash;as a few rapidly developed very severe hypertension followed by early death. These marked variations were interpreted to result from differences in genetic constitution. By mating in successive generations only those animals that failed to develop hypertension from salt ingestion, a resistant strain (the&ldquo;R&rdquo; strain) has been evolved in which consumption of large quantities of salt fails to influence the blood pressure significantly. In contrast, by mating only animals that quickly develop hypertension from salt, a sensitive strain (the&ldquo;S&rdquo; strain) has also been developed. The availability of these two strains permits investigations not heretofore possible. They provide a plausible laboratory model on which to investigate some clinical aspects of the human proto��types of hypertension. More important, there might be the possibility of developing methods by which genetic susceptibility of human beings to high blood pressure can be defined without waiting for its appearance. 51. Which statement relates the main idea of this passage? A. When salt is added to their diets, rats and men react in much the same way. C. Modern research has shown that high blood pressure is a result of salt in the diet. 52. The study of the effects of salt on high blood pressure was carried out_____. 53. It is implied that the main difference between &ldquo;S&rdquo; and &ldquo;R&rdquo; rats is their_____. 54. In the experiments, _____. 55. Among the results of the research discussed in this article, the most beneficial might be_____. Directions: After reading the following passage, you will find 5 questions or unfinished statements (No.56 to No.60). For each question or statement there are 4 choices marked A, B, C and D. You should make the correct choice and write the corresponding letter on the Answer Sheet. Over two hundred years ago, Adam Smith introduced some ideas, which brought about a world revolution. If we enjoy a high standard of living in modern society, we owe much to this Scottish economist and philosopher. If we enjoy driving in beautiful cars, wearing fashionable shoes, or flying away to distant places for exciting holidays, we should perhaps pay thanks to the man who made it all possible. What was Adam Smith&rsquo;s contribution? Like so many ideas, which have surprising effects, his was a simple one. He watched workers practising their craft of pin making. One man would heat the strip of metal, stretch it out, cat off an appropriate length, shape it, cool it and finally smooth and shine it. Smith drew attention to the advantages which could be gained if these various tasks were performed by different workers. Let one be responsible for preparing the metal. Another for stretching and cutting. Another for shaping. Another for finishing. He described the technique as the Division of Labour; in this way workers repeat the same actions again and again. Smith convinced the world that specialization could solve the problem of poverty and want. What was the result? The Industrial Revolution. Productivity was greatly increased. For Britain, where the revolution started, there was a prosperity which made it the richest country in the nineteenth century. British trains and railway lines spread out like a spider&rsquo;s web across the world. British ships were used to carry the new cargoes from one comer of the world to another. The revolution is not over. It is still with us, but now it is a worldwide phenomenon. Everywhere, factories are producing large numbers of similar products, and are in continuous production. What were called mass��production lines yesterday are called robotic productions today. The pace of change is increasing. And if these techniques have brought us prosperity, they have brought us a little misery in overcrowded towns, boring jobs and, most of all, unemployment. 56. We should be grateful to Adam Smith because _____. 57. Which of the following is true according to the passage? A. The Division of Labour makes work more interesting. B. Specialization could solve the problem of unemployment. C. Adam Smith put forward the idea of the Division of Labour. D. Adam Smith insisted that each worker be better paid. 58. From the passage we know that the Industrial Revolution _____. 59. According to the passage, the Industrial Revolution is responsible for the following results except _____. 60. What is the best title for this passage? Directions: After reading it , you should answer each of the 5 questions (No.61 to No.65)within 3 words. The answer should be written after the corresponding numbers on the Answer Sheet. The greatest recent social changes have been in the lives of women. During the twentieth century there has been a remarkable shortening of the proportion of a woman&rsquo;s life spent in caring for children. A woman marrying at the end of the nineteenth century would probably have been in her middle twenties, and would be likely to have seven or eight children, of whom four or five lived till they were five years old. By the time the youngest was fifteen, the mother would have been in her early fifties and would expect to live a further twenty years, during which custom, opportunity and health made it unusual for her to get paid work. Today women marry younger and have fewer children. Usually a woman&rsquo;s youngest child will be fifteen when she is forty��five and can be expected to live another thirty��five years and is likely to take paid work until retirement at sixty. Even while she has the care of children, her work is lightened by household appliances and convenience foods. This important change in women&rsquo;s life��pattern has only recently begun to have its full effect on women&rsquo;s economic position. Even a few years ago most girls left school at the first opportunity, and most of them took a full��time job. However, when they married, they usually left work at once and never returned to it. Today the school��leaving age is sixteen, many girls stay at school after that age, and though women tend to marry younger, more married women stay at work at least until shortly before their first child is born. Very many more afterwards return to full or part��time work. Such changes have led to a new relationship in marriage, with the husband accepting a greater share of the duties and satisfactions of family life, and with both husband and wife sharing more equally in providing the money, and running the home, according to the abilities and interests of each of them. 61. What is the passage mainly about? 62. According to the author, what makes women&rsquo;s housework easier to do? 63. A woman in the nineteenth century would probably spend most of their time in _____. 64. Where does a married woman in the twentieth century essentially differ from a woman in the nineteenth century as far as their life��pattern is concerned? 65. What does the change of women&rsquo;s economic position finally result in? 66. As people&rsquo;s demands for more convenience telephone communications increased, came the mobile phone. 67. Not until the problem of talents and funds is solved, is our talking about the project meaningful. 68. Scientists are eager to talk with other scientists working on similar problems. Directions： Write on ONE of the following two topics. You are supposed to follow the instructions given below. 1.You are required to write a composition entitled&ldquo;Fast Food&rdquo;on the outline given below in Chinese. 2.Directions:This part is to test your ability to do practical writing. Suppose you are going to apply for a job. Now fill in the application form with the necessary information. 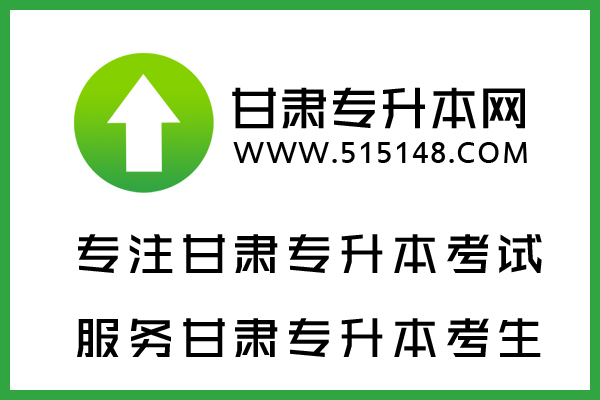 You can make use of the hints given in Chinese. Remember to write your writing on the Composition Sheet.